Fork tender, melt in your mouth, this is the BEST Mississippi Pot Roast recipe. A Naturally low-carb dinner idea made in the slow cooker! When it comes to pot roast, we all dream of a fork tender, flavorful cut of meat. 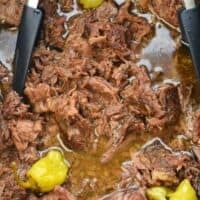 While this Mississippi Pot Roast recipe is quite different from the kind I grew up with, it’s very similar to our favorite Slow Cooker Italian Beef recipe! And before y’all even ask, I’m working on an instant pot version for BOTH of these delicious recipes! What is Mississippi Pot Roast? Before I tell you how to make this delicious roast, you may be wondering, what is it? Why is it different? Mississippi Pot Roast is usually made by placing a chuck roast in a crock pot or slow cooker. You’ll cook it beneath some butter, a package of ranch dressing mix, another package of “au jus” gravy mix and a handful of pepperoncini. The result is a fork tender roast that requires very little prep time! We love serving ours on homemade Baked Mashed Potatoes. Or get fancy and serve it to guests with this delicious Cheesy Hashbrown Casserole recipe! One of my favorite things about making this dinner is the 5 minutes it takes to assemble in the crock pot. This is perfect if you have a busy morning. It truly is a fix and forget it style dinner. First, place a chuck roast into the bottom of your slow cooker. I typically use a 4 lb roast, which is plenty of meat for my family of 6. Next, place 4 tablespoons (sliced) butter over the top of the roast. Sprinkle one packet of ranch dressing mix and one packet of au jus gravy mix over the top of the roast as well. Place 5 pepperoncini peppers (or more if your family loves them) into the crockpot. You can also used sliced ones instead of whole if you really love them like I do! Cover the crock pot and cook on low for 8 hours. When you’re ready to eat, use two forks to shred the meat and serve. ENJOY. For most pot roast recipes, you’ll choose a chuck roast. The chuck roast comes from the shoulder of the cow. When you purchase one, you’ll see some marbling of fat throughout the roast. I try to find one that has THIN strands of connective tissue, which is great because it melts into the meat creating a tender roast. 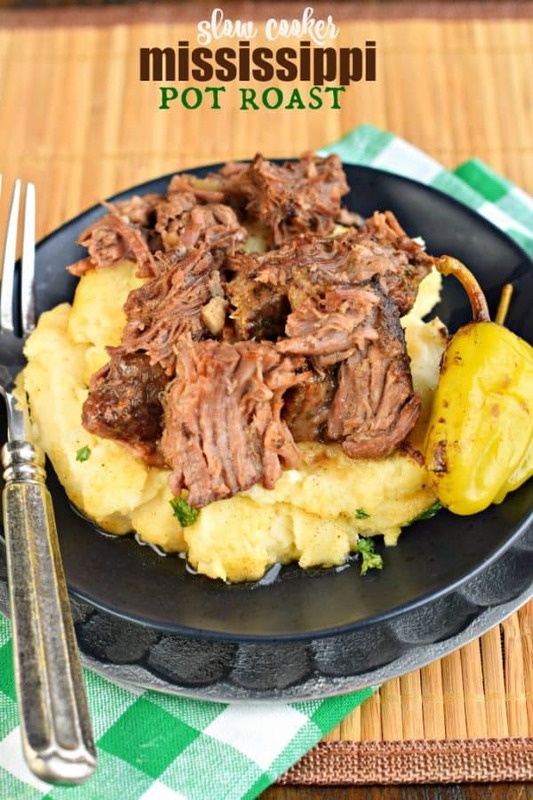 Chuck roast is great in Pot Roast, but also delicious in this Shredded Balsamic Beef recipe! 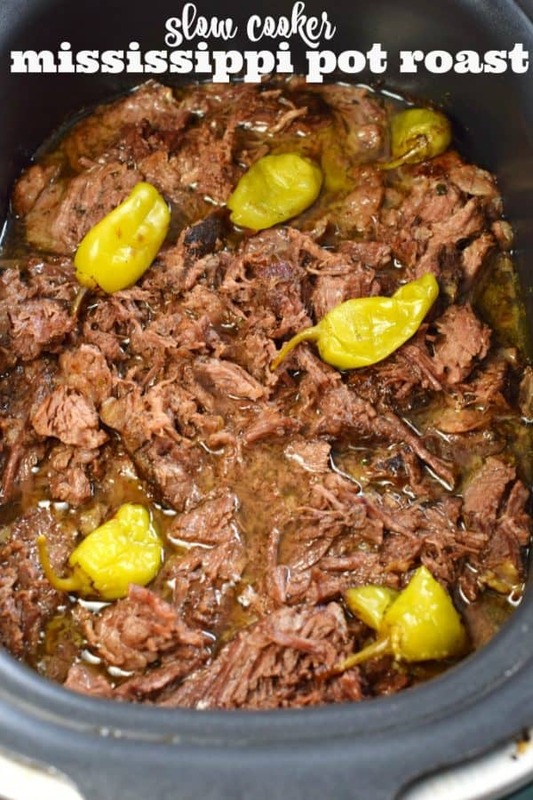 If you love mexican, I use a chuck roast to make this delicious Crockpot Barbacoa! For the most part, this recipe is very low carb. 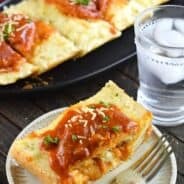 You’ll find some brands of the au jus mix have 1 g of net carbs, but overall today’s recipe is keto friendly! 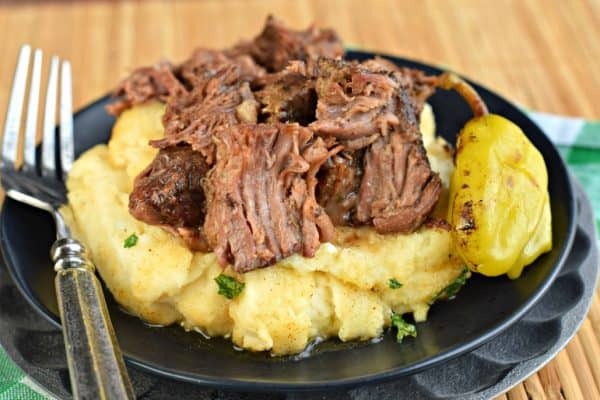 You’ll want to serve your keto roast with mashed cauliflower or cauliflower rice instead of potatoes for a truly low carb meal! Place your roast in a dutch oven or small roasting pan. Add ingredients as direction state. Cover with aluminum foil. Bake in a 325 degree oven for 3 to 4 hours, until fork tender. 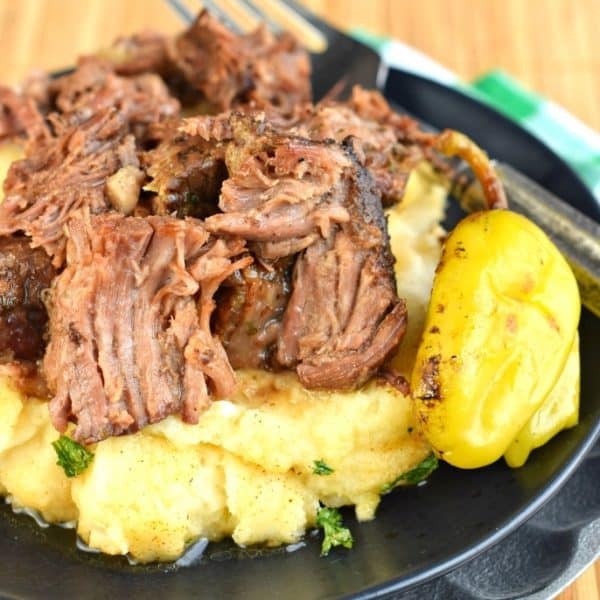 This results in a melt in your mouth pot roast! 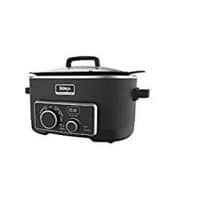 Slow Cooker or Crock Pot. This Ninja version is my favorite! Chuck Roast. Some people choose to use a rump roast, but I find a chuck roast results in a more fork tender result. Stick of Butter. Traditionally you’ll find people using a whole stick of butter, but I scaled down to 1/4 cup and found it to still taste amazing! Pepperoncini (or sometimes referred to as Peperoncino Peppers). Buy the kind in a jar, like this one! Ranch and Au Jus packets. Some people like to add potatoes and carrot to their pot roast, I personally don’t like this flavor with those vegetables cooked in the pepperoncini juice. Salt and Pepper, as desired, but usually not needed. Make juicy, sweet and tangy chicken in your crockpot with this easy Slow Cooker BBQ Chicken recipe! You’ll love the fall off the bone texture and flavor of this chicken! This Slow Cooker Bourbon Chicken recipe has a sweet, tangy glaze and must be put on your dinner menu soon! Better than the food court! If you’re looking for an easy, no fuss meal idea, these Slow Cooker Beer Brats are delicious! Ten minutes prep and into the crockpot they go! Come home to a tasty meal! Grab your slow cooker and make some of this smoky Kalua Pork! Tender and juicy, it’s so versatile…sandwich, pizza, and more! This French Dip recipe can be made in the slow cooker OR the instant pot! Tender, juicy meat on a french roll loaded with cheese! 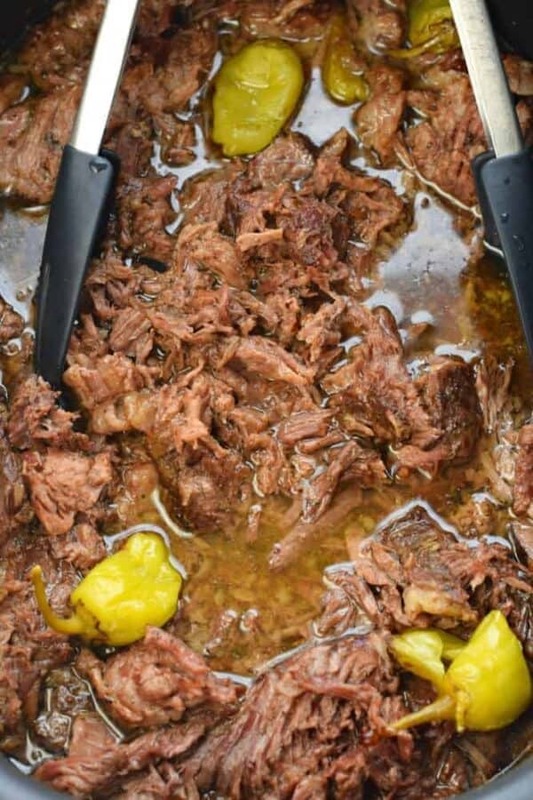 Fork tender, melt in your mouth, Mississippi Pot Roast recipe. A Naturally low-carb dinner idea made in the slow cooker! Place roast in bottom of a crock pot or slow cooker. Top with slices of butter, sprinkle the ranch and au jus over the top and add peppers. You can use whole peppers or a handful of sliced peppers. Cover and cook on low for 8 hours. Shred meat right before serving. ENJOY. I love all the flavor in this roast! And it’s so easy!!! I’m fussy about pot roast, but this was great. My whole family would love this! This is definitely my favorite pot roast recipe. Thanks for sharing! I make this all the time! 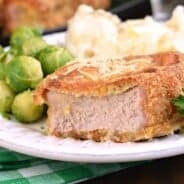 Delicious comfort food and makes into some fantastic sandwiches! This pot roast is some serious comfort food! My entire family loved it, will make again! I was just looking at a pot roast i have sitting in freezer! im so glad i stumbled on this recipe! This is a total comfort food win! It’s always a hit with the whole family! Hi Aimee, your Mississippi Pot Roast looks so tempting! I love how the recipe requires such few ingredients. Great work! The ones in the jar! This recipe is a keeper! Family loved it. 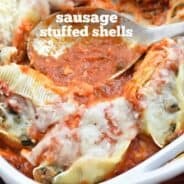 I have made this recipe a few times and it is always a hit! However, there never seems to be a lot of gravy. I was thinking of adding 1/2 cup of water and maybe a bit of the pepperoncini juice so there will be more gravy at the end but do you think that will change the consistency of the roast? Because I really do love the recipe as is I just wish there was more gravy.